The past two weeks I’ve been navel-gazing at Daddy and the Worlds Longest Poo and by now, we have examined the characters of the Daddy and the Mummy and their different approaches to visiting the loo. Of course, it is a golden rule of picture books, that the story should focus on the experience of the child. This book is no different. 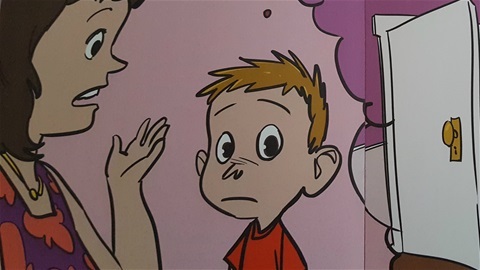 It is written from the first-person perspective of the little boy, speaking directly to the reader. Children see the world through innocent eyes and part of their charm is they take things at face value. Often an everyday occurrence, may carry meaning on different levels for children and adults. I believe that if you write a book for an age-level that needs assistance reading, it can’t hurt to consciously engage the adults who are reading to the children. Be honest, have you ever read a picture book to your child in a glazed-over state, saying the words, but not following an inch of the storyline? I have, and I find these are generally the books that my son never asks for again. Often, the books we mutually love, and read over and over, are the ones that appeal to both of us. They might be funny, beautifully written, employ great use of rhyme, overflow with imagination, or have a wonderful message we can admire, or relate to. There are many great children’s authors and many of these types of books. In writing my book, it was my top priority to write a story that children and adults could identify with and laugh at together, even if on completely different levels, as is often the case. So, how does this relate to the little boy, the hero of this story about funny toilet behaviours? The little boy hero worships his daddy and can’t understand where he keeps disappearing to. As if in a game of hide and seek, he searches high and low until he discovers Daddy in the toilet. The boy himself has a fascination for the toilet and poo, as kids of a certain age generally do. His imagination starts to run away with him, especially when Mummy says that Daddy is doing the “world’s longest poo”. 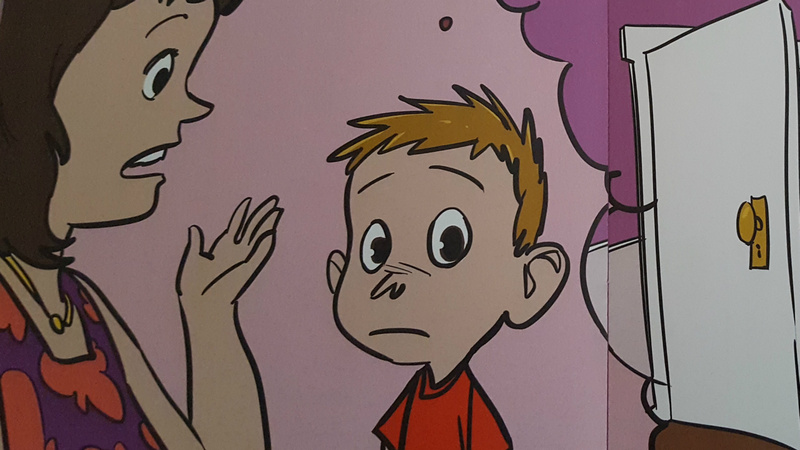 In terms of a character study, the little boy is what you might call a 'literal thinker'. When he hears 'long poo', he thinks of a poo of great length, in size and shape. If someone spends a long time in the toilet, what else would a young child think? So, what could be more giggle-inducing for a child reader, than to be carried away with the little boy’s imaginings, revealed in a story-stopping illustration, you’ll have to see to believe. Of course, Daddy doing a long poo is the easiest and most innocent way for the boy’s mummy to explain her husband’s behaviour. We often explain more complex adult behaviours in very simple terms for children - the stork who brings babies, is just one example. Do we appreciate just how literally children take these things? That is the beauty of childhood and a little person’s innocence. Movie makers have cottoned on to the appeal of dual-meaning, comedic narratives for children and their movie ticket-buying parents. And as a picture book-reading parent myself, I can’t help but write with parents consciously in mind, as much as I wish to entertain the little readers I make the stories for. So, if you are looking for a book that you can enjoy with your pre-schooler, or a book with enough humour to engage your early primary reader, why not take a chance on a new author and her original and honest portrayal of family life? It’s a chance for kids to laugh at things they love, like poo, and a chance for adults to lighten up and laugh at themselves. For reviews on Daddy and the Worlds Longest Poo, and its special brand of humour, look no further than Goodreads. The book is also currently retailing 20% off in Paperback and AUD$4.99 in eBook, so it’s a great time to buy on Lulu.com. Think Father’s Day in the US, UK and Canada on June 18. What better way to encourage fathers and grandfathers to read to their kids?